+ A season of creative content generation with storytelling engagement. multiple episodes featuring product placement, great entertainment, and a parallel webisode to engage people in transmedia. The final product of 12-20 episodes of quality television, a cookbook that I can buy and a call to action for next seasons show. This is overlooking the obvious ad spends, and endorsement deals. I love this show. I think its great content. I get exposed to great recipes, I am entertained, and the filmmaking of the show itself is both entertaining and informative. I dont even mind the fact that I am watching a giant ad. Reality TV has become a great investment for brands and channels. Skilled labor becomes subsidized for the shot at a dream of the story of “Everyman.” A hero emerges, and the curators of amazing content and brands all rise in engagement levels and customer satisfaction. I am curious to see how this format continues to grow. Did Apple Just Kill the Fuelband? With the new A7 Chip, all movement in 3 dimensions can be tracked. Vanity sensors that were robust for 3rd party hardware ( fitbit, fuelband ) may now be obsolete for the casual user. 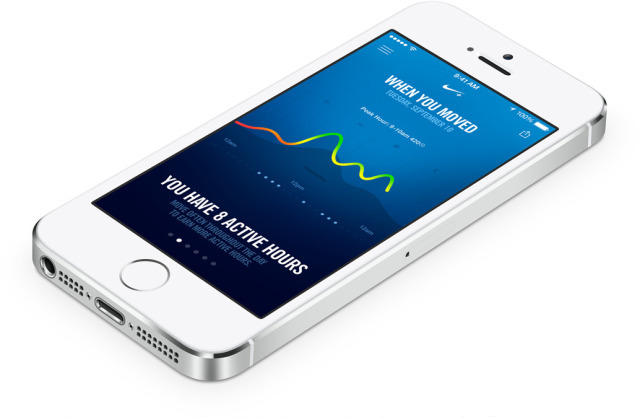 The iphone 5s may just have changed the way that athletic data is created and consumed.